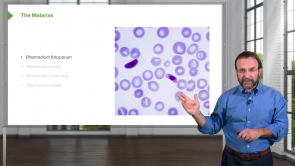 Parasites – Online Microbiology Course | Start now with Lecturio! i have never seen such an outstanding Lecture, really appreciable. Dr.Vincent words just penetrated my heart. What i like is, his way of presentation is marvelous with good pace . even non science(Non-medical ) students can understand without any trouble. Great lecturer. Keeps the lecture interesting and easy to remember. Wish I had him as my professor. great presentation and eloquence. the lectures are well done and easy to understand. great information, and would highly recommend it. Lectures very good. But i wish you had some themes like giardiasis, amebiasis and others. I really enjoyed learning something that I wouldn't have enjoyed otherwise. Thanks a lot for such a great lecturer. I thoroughly enjoyed all the videos. Also by listening to these lectures, my uni lectures are making sense to me now. Thank you so much Dr Vincent. You have made my life so much easier now. 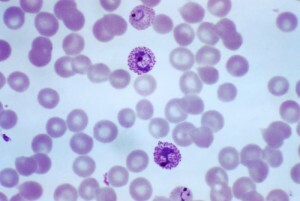 The etiology, pharmacology, pathophysiology, and epidemiology of the parasites. Very well done job. Dr. Vincent is excellent. If someone does not have a better understanding of basic and clinical microbiology is not his fault. He has done all his best to facilitate the concepts in a very clear manner so that everyone can understand. Good job Dr. Vincent. Very good explanation! I love it! great and well made, I'd like if you add some quiz even in this section! Very good teacher! Funny! Great job. I can spend all they long listening to him. I like too much,plz make more high yelid questions with each topics,i appreciate it.